Oh boy. 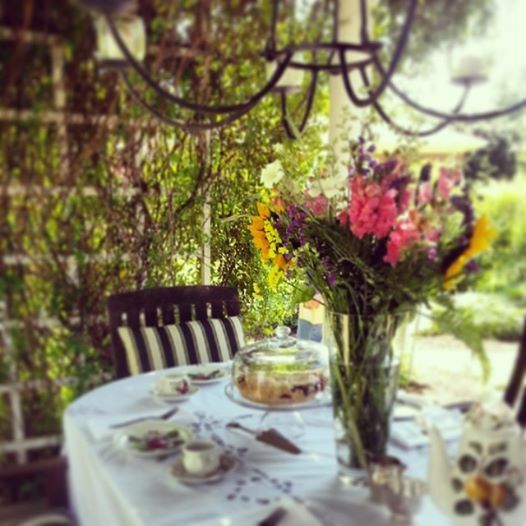 Can’t wait for my back yard kingdom to look like this again. Remember this photo from the garden tour the peeps and I were on last year? Oh me. 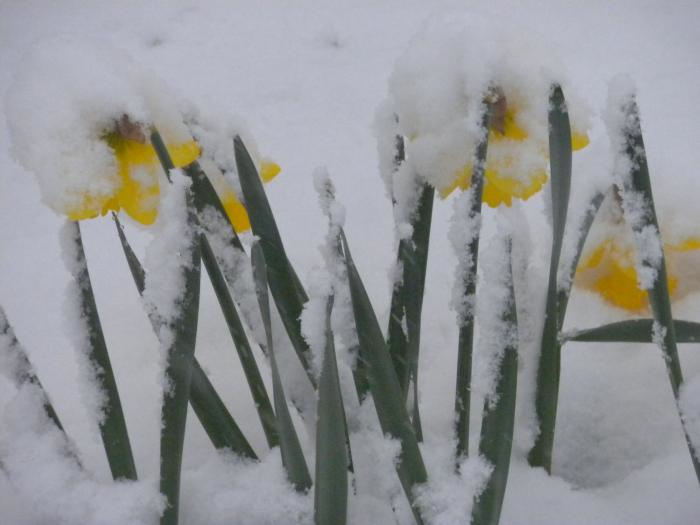 It’s going to snow here again on Thursday and as much as I HATE really hot weather, I’d love a little green grass and daffodillys right about now. Napping in the dillys. Was I a cute pup or what? 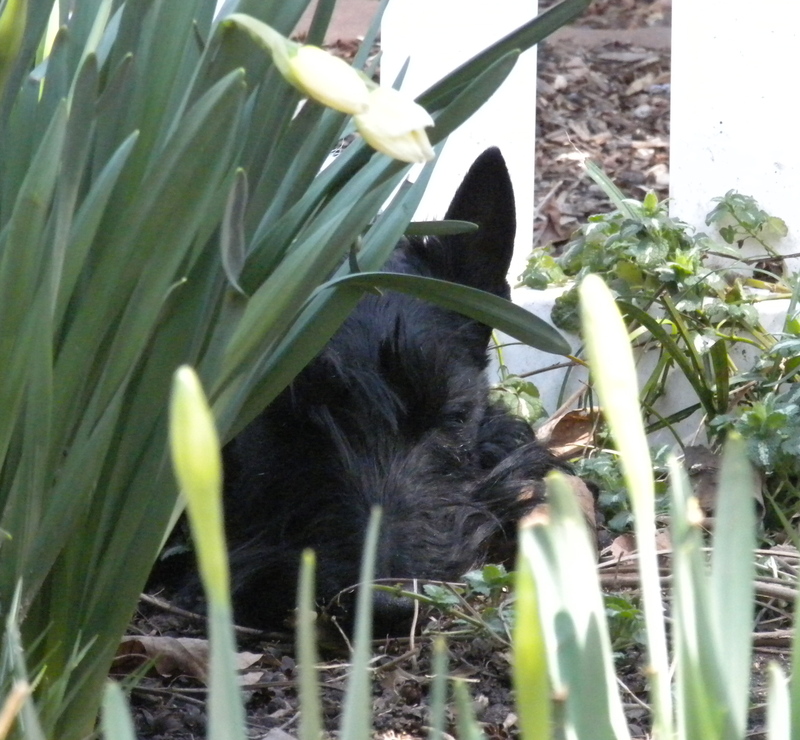 This entry was posted in The Scottie Chronicles and tagged Daffodils, food, gardening, pancakes, Scotties, Scottish Terriers, springtime, weather. Bookmark the permalink. Love the dilly pictures and you look great napping among them! We can’t wait as well for the cool Spring breezes to waft across our green lawn. Thanks for sharing. Everything is blooming in Florida. It looks like there will be a bumper crop of mangoes this year. We love mangoes. Waiting for Spring this year is like waiting for Christmas. It feels like it will never get here. The calendar says it will be here in 17 more days! I hope the snow and ice are gone! Me, too. Waiting for Spring. Meantime, another day of sunshine , low of 70 and a high 82. You mean your dillies haven’t appeared yet? Must be due to global warming. They make for some supper fine napping in….but we gotta wait like 3 months yet!….Wait…What…Pancakes…where….lets eat! Our dillys bit da dust cuz of da ice. MORE snow?! You guys are really copping it eh?